Electric Fields has added more acts on to the bill for the 2018 festival. Tickets for the event are on sale now. Now in its fifth year, the festival will now take place over three nights, with James, Noel Gallagher's High Flying Birds and Leftfield headlining on Thu 30 Aug, Fri 31 Aug and Sat 1 Sep respectively. 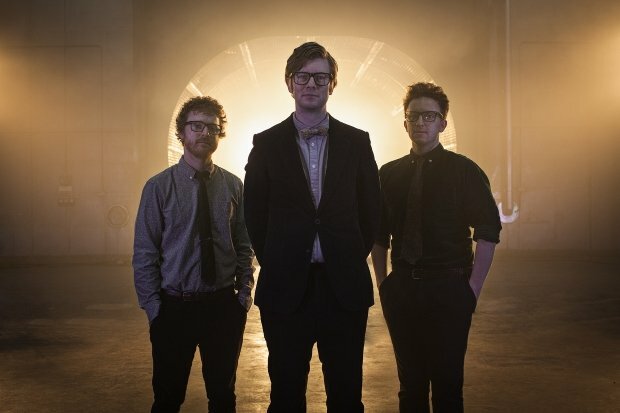 The latest lineup announcement sees the return of Public Service Broadcasting to Dumfries and Galloway, after their triumphant main stage performance in 2016. Shoegaze favourites Ride return to the Scottish festival circuit too: the group released their fifth album Weather Diaries last in 2017, their first since 1996's Tarantula. New additions also include The Horrors, bringing their perpetually evolving indie rock to the party, Dream Wife – set to bring their thunderous live show to our Hidden Door opening night party at Leith Theatre on Fri 25 May, and The Orielles, whose debut album Silver Dollar Moment is a colourful musical highlight of 2018 to date. It's a strong bill from a festival that's still young, with the headliners joined by Scottish institutions Teenage Fanclub, Idlewild and Young Fathers. Ezra Furman brings his rousing tunes to Scotland, with Baxter Dury's grimly charismatic songs sure to be a highlight. Two of Britain's finest contemporary punk acts, Shame and Idles, bring their high octane sets to the festival, with the best in local talent represented in Wuh Oh's wistful electronica and The Vegan Leather's extroverted disco. There's even a performance from Mastersystem, the exciting new Frightened Rabbit/Editors supergroup. Electric Fields takes place from Thu 30 Aug-Sat 1 Sep. Tickets are on sale now.